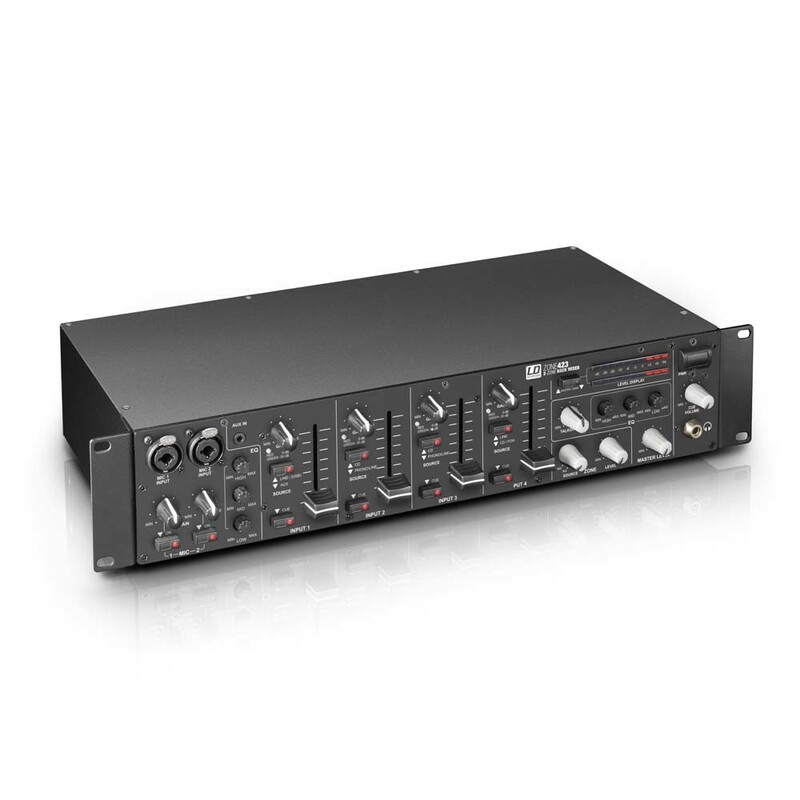 The ZONE 423 is a full featured zone mixer with 4 line and 2 microphone channels, that can be assigned to a master and a zone output, as well as inputs for an external emergency announcement system and remote-controlled switching mute. 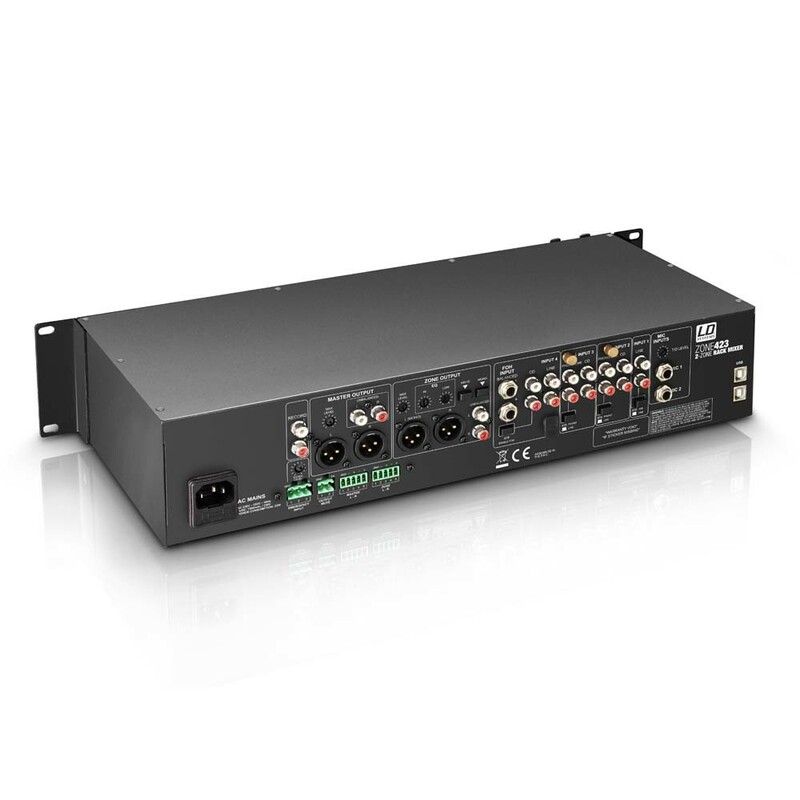 Through versatile connectivity, the compact 2U rack device is the perfect control centre for PA systems in food outlets, clubs, hotels, fitness centres, and is also excellent for presentations and DJs. 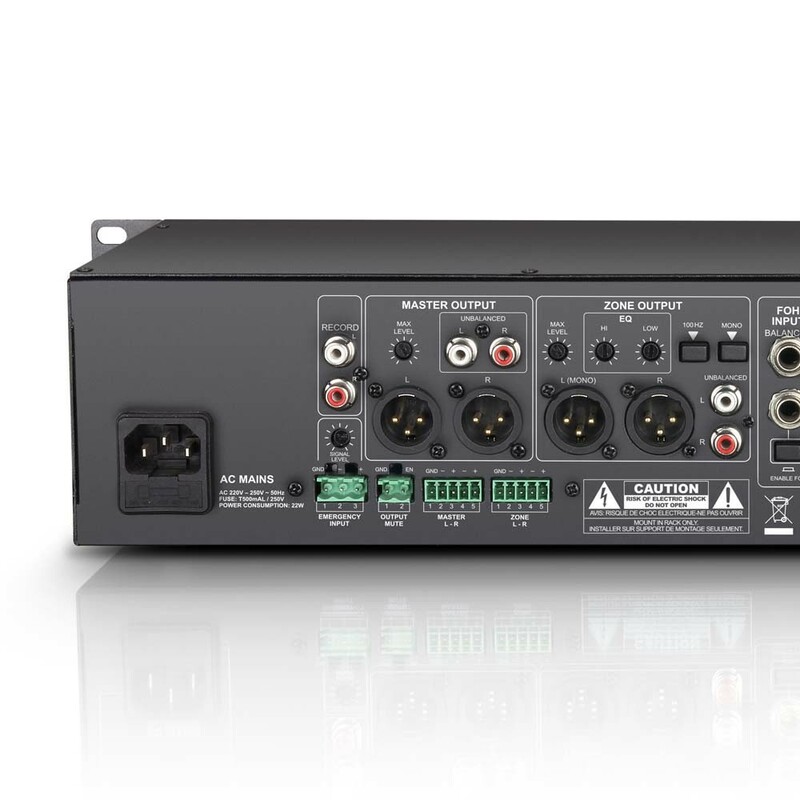 In addition to the two balanced microphone inputs with variable Gain and Talkover level,12V-phantom power, and a shared 3-Band-EQ, the ZONE 423 offers Line, Phono-, and Aux-stereo connections in RCA format, a FOH-input with balanced stereo jack plugs as well as a USB and 3.5mm mini jack. 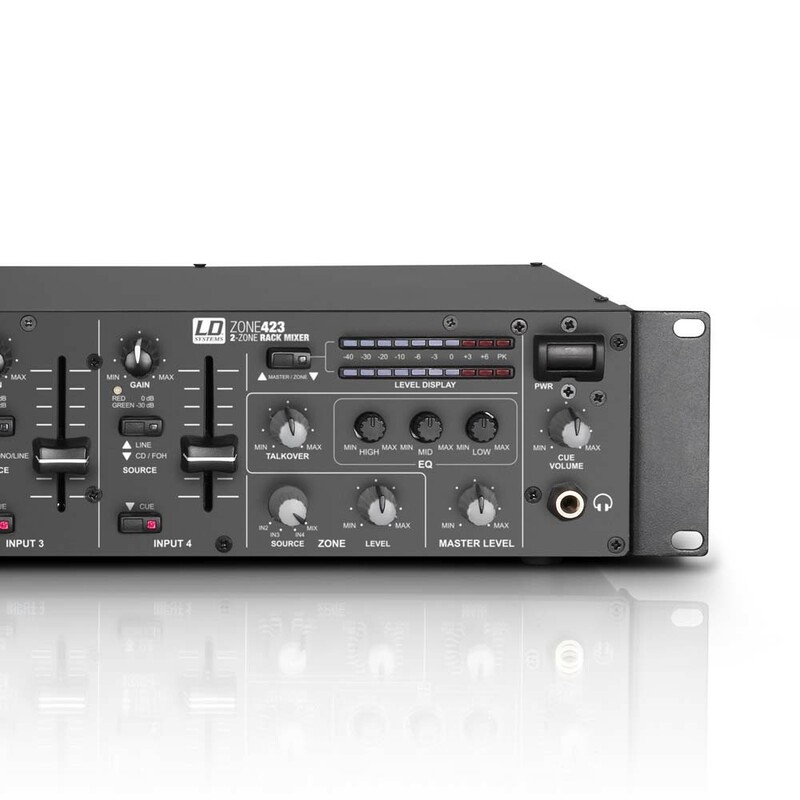 The USB-port is used as a stereo input and output and allows the mixer to be used as an external audio interface. 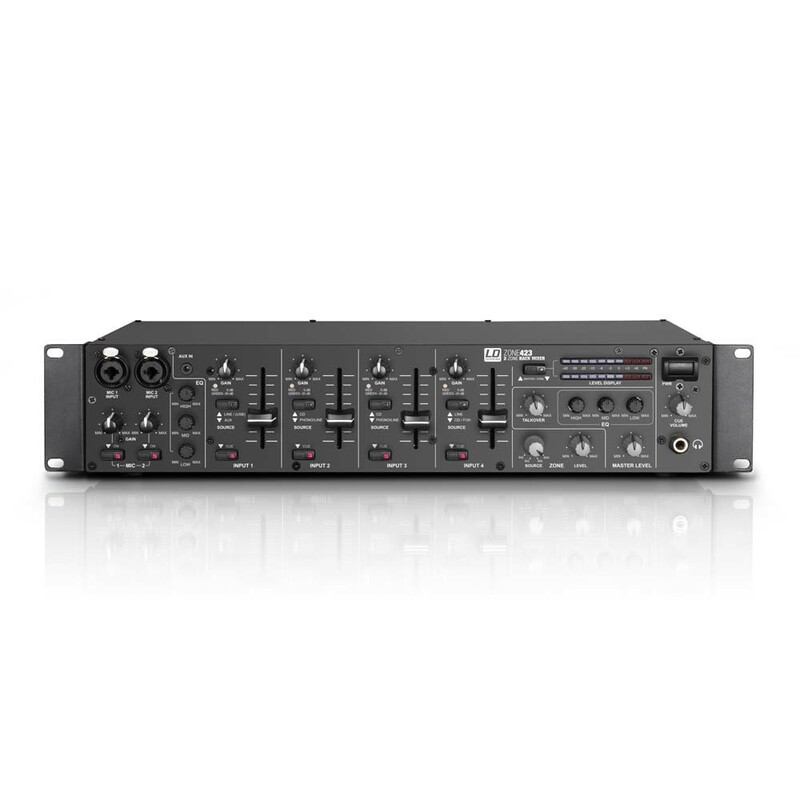 The four input channels have individual gain controls with signal and peak value display, 45 mm faders for adjusting the volume and cue buttons. 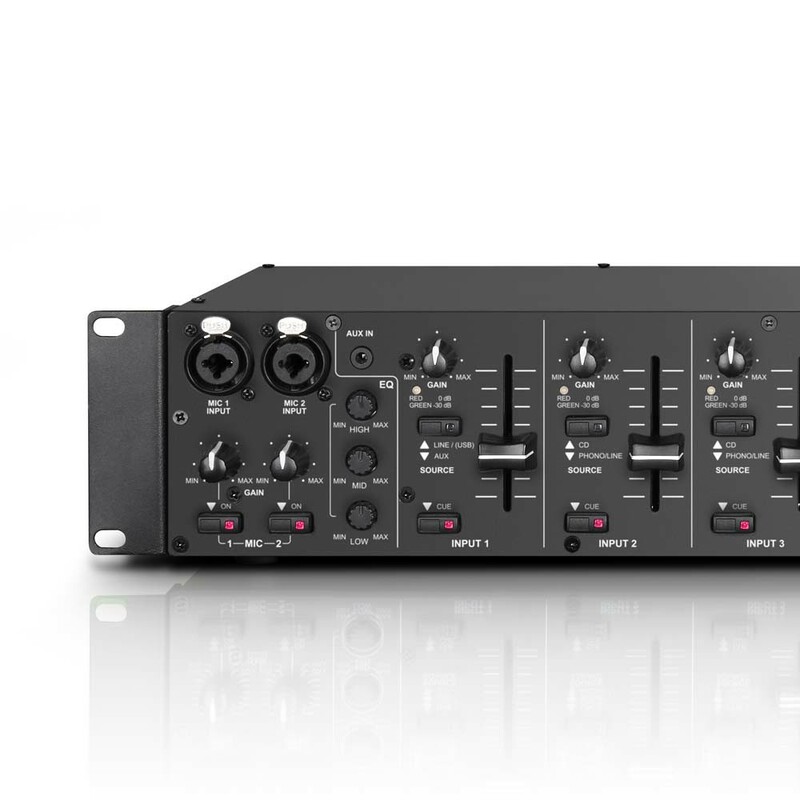 The master and zone sections each have their own EQ, balanced XLR and unbalanced RCA outputs: the master output via terminal block connectors and the zone output using a mono sum switch, and 100 Hz high-pass filter. 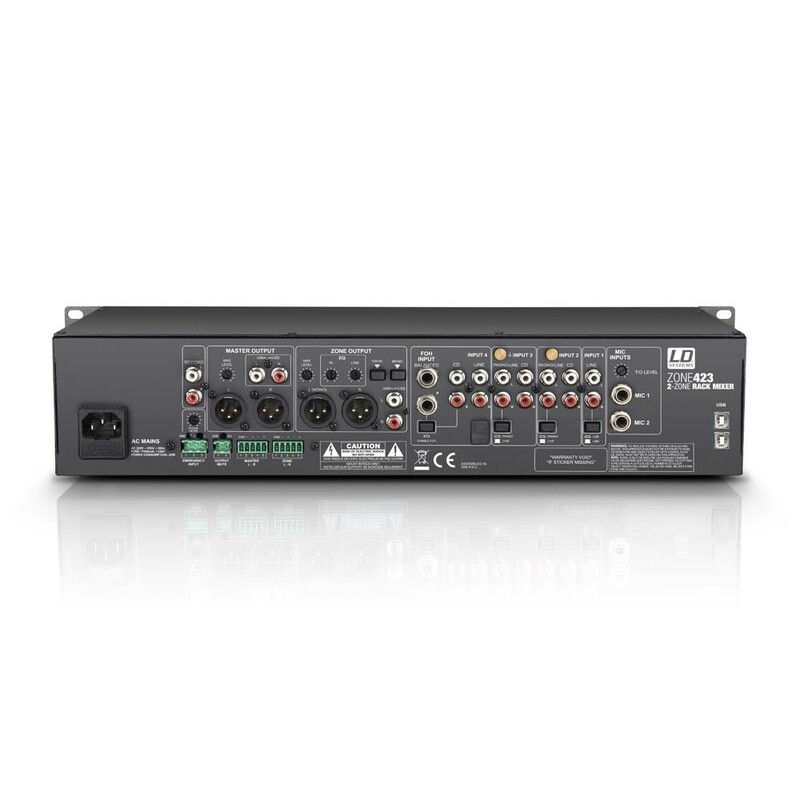 The stereo level indication can be set to master or zone, and the maximum output level can be preset for both on the back of the mixer. 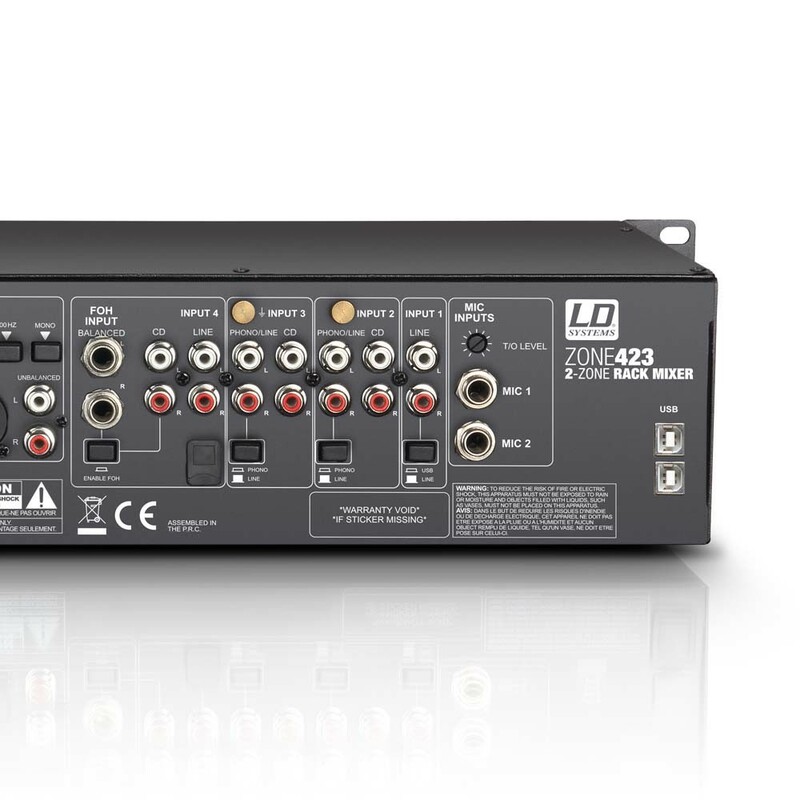 In addition to an adjustable headphone connection for pre-listening, the ZONE 423 also has a recording output.